You can’t visit Alaska without realizing the magnitude of importance of oil in this state. It’s a primary driver of Alaska’s economy, and it provides huge benefits for the rest of the United States. Alaska does not have a sales tax or personal income tax, thanks to oil money. Alaskan residents even receive a check, every year, from the Alaska Permanent Fund — a big pile of money funded by oil profits, designed to help the state when the time comes that oil is no longer profitable. That oil couldn’t flow from the north slope to tankers in the Pacific without the help of a miracle of engineering: the Trans-Alaska Pipeline System. This 800-mile pipe was built in 3 years, 2 months, at a cost of about $8 billion. As of 2011, it carried 582,895 barrels of oil a day from above the Arctic Circle to the port of Valdez. At its peak, in 1988, it delivered nearly four times that amount. 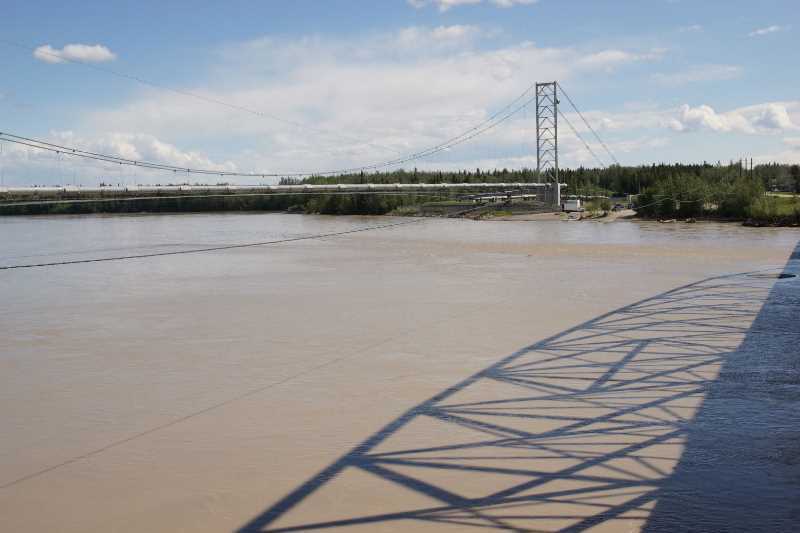 You can get a close-up look at the pipeline at numerous spots across Alaska, but one of the best is on the outskirts of Fairbanks, along the Steese Highway (Alaska 2). A wayside provides a spot to park, and walk up to the pipeline, and even underneath it. But as the sign says, no climbing on the pipeline! It’s designed to withstand a magnitude 8.5 earthquake, and has successfully handled a 7.9 quake, centered just 50 miles from the pipe. 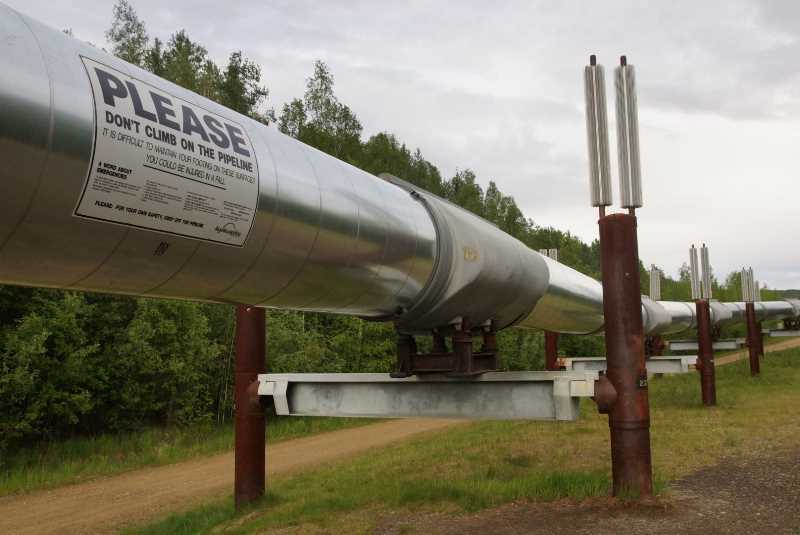 At the Denali fault line, the pipeline can sway up to 20 feet laterally, and 5 feet vertically. 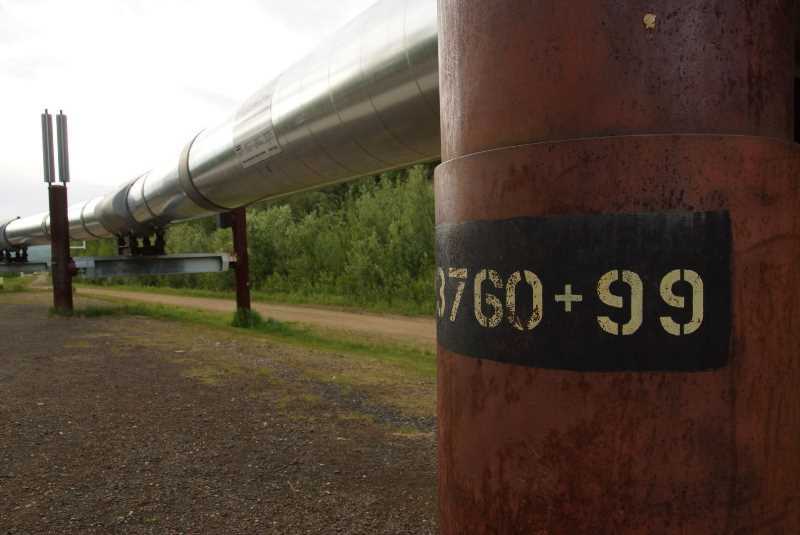 75% of the pipeline passes over permafrost — permanently frozen soil. 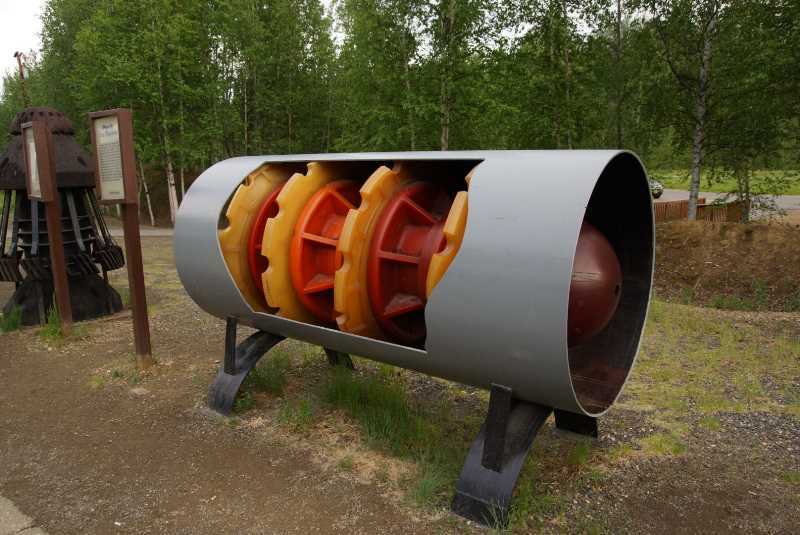 The pipeline is equipped with radiators that dispel heat from the oil, allowing the ground to stay frozen. 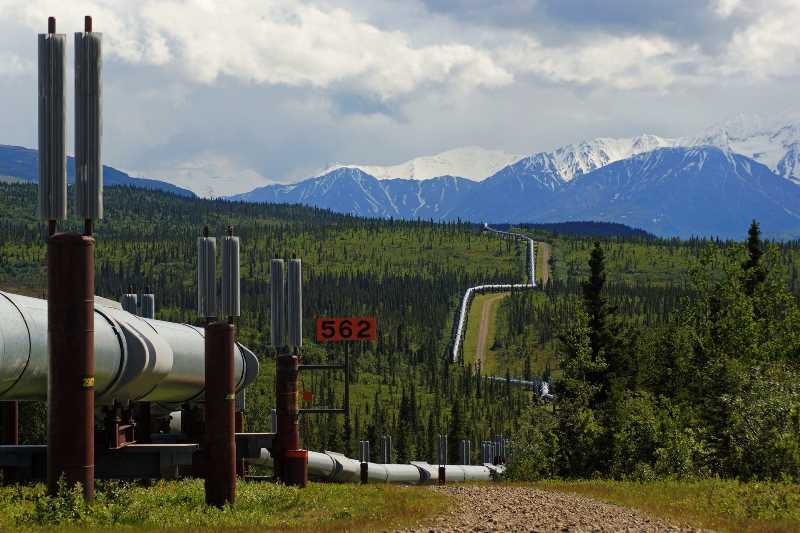 If permafrost thaws, the ground would shift, causing problems on the pipeline. TAPS was originally engineered to have twelve pumping stations. One of them was never built, and another one was built only as a relief station. So, at the peak of operations, ten pumps were running. As of 2012, only four were operating on a daily basis, with an extra one added during cold weather, and one more on standby. How clean is the pipeline? There are spills every year. 1989 was the pipeline’s worst year, with 251,712 barrels spilled. In 2012, there were just four spills, with 5.9 barrels lost. 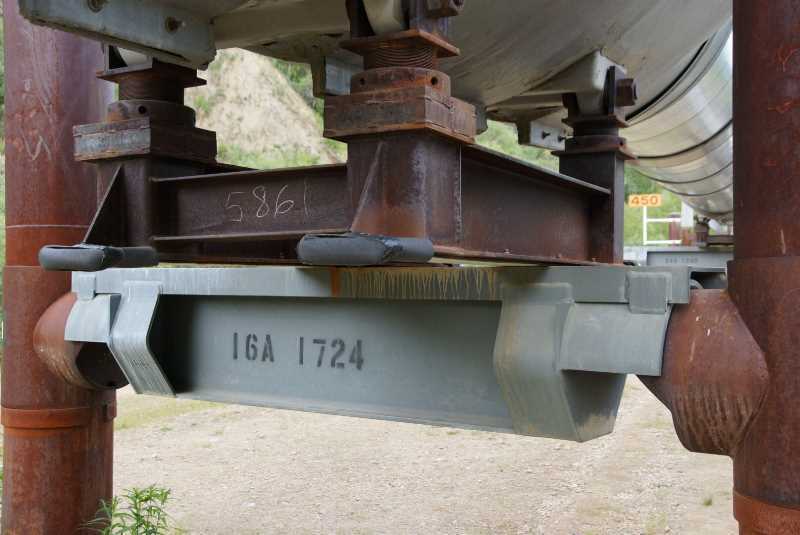 At this stop, you can get a close-up look at the pipe, and the fascinating way it’s supported. A lot of effort went into allowing the pipeline to move without breaking and flex during earthquakes and changing temperatures, all while keeping the heat of the oil away from the frozen ground. A cutaway of the pipe gives you an idea of how big it is. The outside diameter is 48″, or four feet. … and this is a more modern one. The pipeline doesn’t run above-ground for the entire route. Where appropriate, it’s buried — sometimes in refrigerated ditches, to keep the permafrost frozen around the pipe. 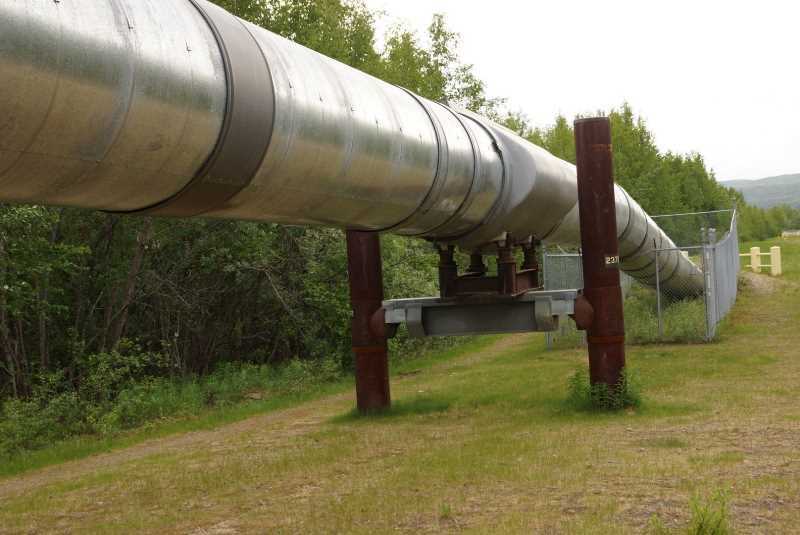 If you’re doing some serious driving around Alaska, you’ll cross paths with this pipeline again. 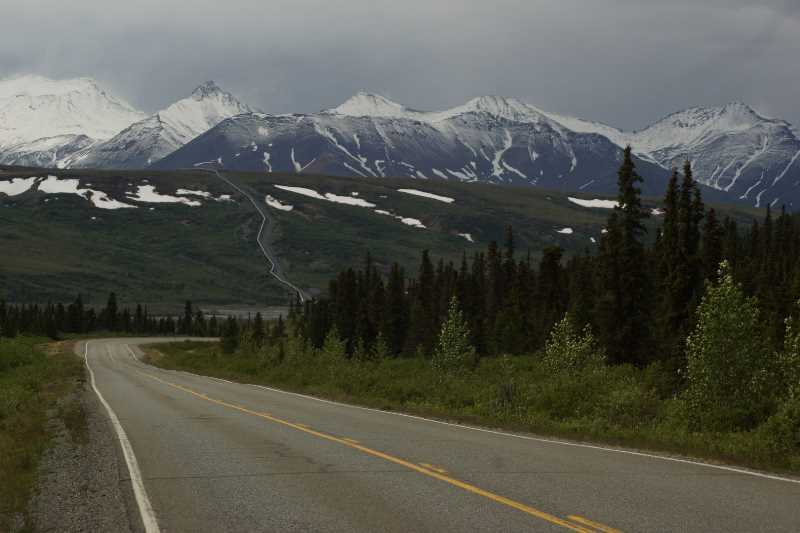 … further down the Richardson Highway (at this spot, Alaska 4), south of Delta Junction. Here, you can see the pipeline’s zig-zag path, which allows it to expand and contract without breaking. Those radiators on top of the posts conduct heat away from the ground, allowing it to dissipate into the air. A bit further down the Richardson Highway, the pipeline zigs and zags over a hill, while the road takes the long way around. The TAPS viewing location near Fairbanks can be found on Alaska 2, the Steese Highway, about 8 miles north of downtown. There’s a gold-panning tourist attraction across the street. 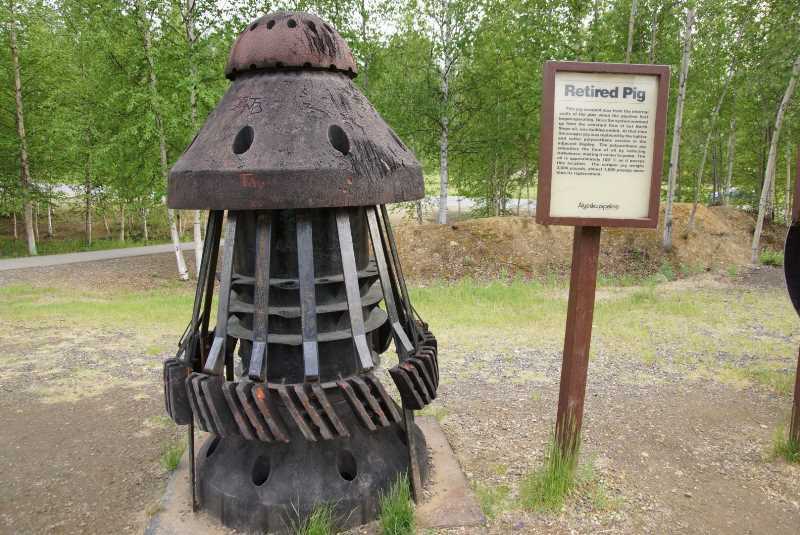 This dashcam video shows the drive around Fairbanks, then out to Chena Hot Springs. 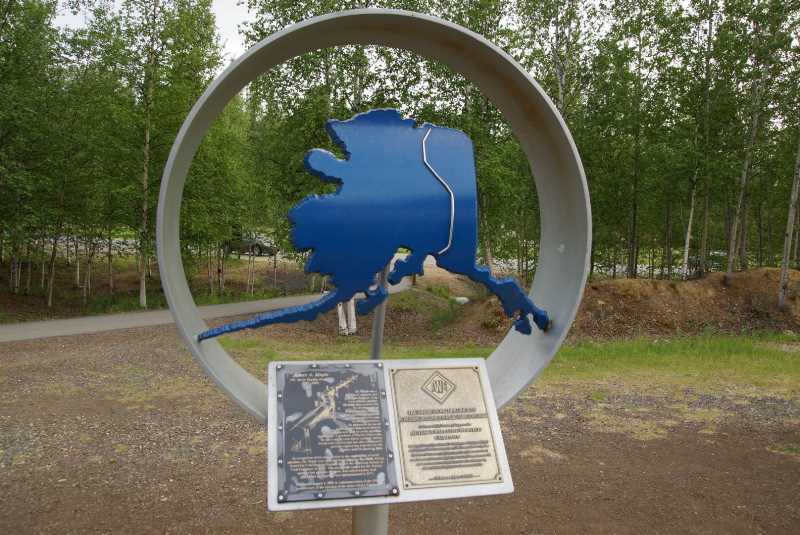 Fast-forward to 13:30 to see my stop at the TAPS viewing area, then watch the drive to Creamer’s Field in Fairbanks.